Just because my mother is gone does not mean that I have stopped garage sale-ing. Au contraire! I went garage sale-ing Saturday and I know she was with me in spirit. Well, on second thought I am not sure she was, because she probably would have frowned on half the things I bought. 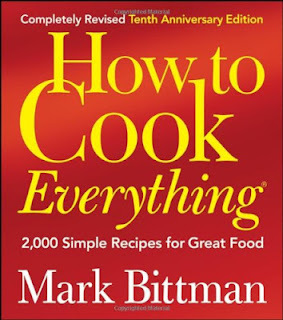 I scored a copy of Mark Bittman's "How To Cook Everything," pictured above, duh. For $1. I could not believe my luck. I just about fell over two boxes of stuff when I saw it in my haste to get to it. 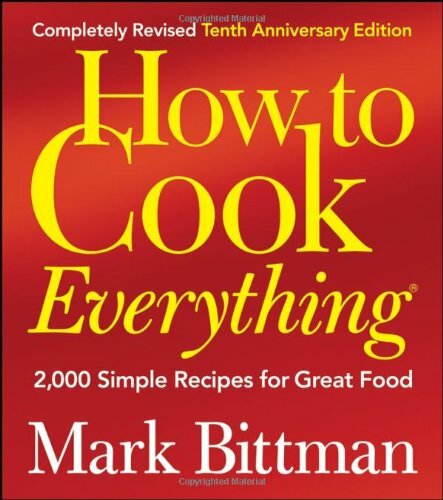 I could just hear my mom: "You have enough cookbooks." But I have wanted this book forever! 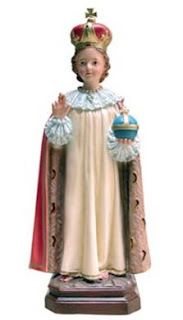 Plus I got a statue of the Infant of Prague. It looks kind of like this only cooler and more sophisticated. .. but I did not buy it. I have to draw the line somewhere and the cloth skirt would get dusty. Also it just is not me. It is fussy. 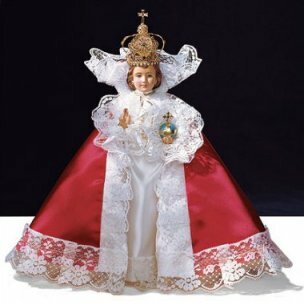 But darn, as I was leaving the sale, the Infant of Prague with the cloth was just kind of lying there abjectly in a box full of junk. I felt so bad! It is just wrong that these items of faith are just left there begging. But, I mean, I only have this one radiator where I have set up a kind of altar for these items. Also you pay for them too, you know? It is unfortunate that they charge for them but they do. No Leonard Pennario records or memorabilia, but I did score some gym clothes and a dress that I have already worn. It was a good day of sale-ing!